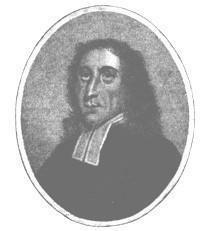 Samuel Wesley, M.A., the younger, was the eldest child of Samuel and Susanna Wesley, and was born in or near London in 1691. He received his early education from his mother, who always took a special interest in him as her firstborn. In 1704 he went to Westminster School, where he was elected King's Scholar in 1707. Westminster had, under the mastership of Dr. Busby for 55 years, attained the highest reputation for scholarship, and Samuel Wesley, as a classical scholar, was not unworthy of his school. In 1709, Dr. Spratt, Bishop of Rochester, patronised the young scholar, and frequently invited him to Bromley. In 1711 he went with a Westminster studentship to Christ Church, Oxford, and having taken his degree, returned to Westminster as an Usher. He then received Holy Orders and became an intimate friend of Bishop Atterbury, who was then Dean of Westminster. His intimacy with this prelate was a bar to his advancement, and he was bitterly disappointed at not being appointed undermaster at Westminster when that post was vacant. But he was faithful to his friend in his adversity, and the banished prelate warmly appreciated his attachment. In 1732 he was invited, without solicitation, to accept the headmastership of the Free School at Tiverton, and here he spent the remainder of his life. He strongly disapproved of John and Charles Wesley's proceedings; but though the brothers expressed their opinions to one another with characteristic frankness, the disagreement did not cause any interruption in the friendly relations between them. "a man for his uncommon wit and learning, For the benevolence of his temper, and simplicity of manner, Deservedly loved and esteemed by all: An excellent Preacher; But whose best sermon Was the constant example of an edifying life: So continually and zealously employed In acts of beneficence and charity, That he truly followed His blessed Master's example In going about doing good; Of such scrupulous integrity, That he declined occasions of advancement in the world, Through fear of being involved in dangerous compliances; And avoided the usual ways to preferment As studiously as many others seek them." Samuel Wesley published in 1736 A Collection of Poems on several occasions, some of which are full of a rather coarse humour, but all of a good moral and religious tendency. This work was reprinted in 1743, and again by W. Nichols in 1862. Dr. Adam Clarke specifies eight hymns of S. Wesley's composition which were in use among the Methodists of that time (1823). The Wesleyan Hymn Book of the present day contains five, the best-known of which is "The Lord of Sabbath let us praise." 1. From whence these dire portents around. 2. Hail, Father, Whose creating call. 3. Hail, God the Son in glory crowned. 4. Hail, Holy Ghost, Jehovah, Third. 5. The Lord of Sabbath, let ns praise. 6. The morning flowers display their sweets.